BBC Radio 4 - The World Tonight, Trump says "substantial chance" summit with North Korea will not go ahead next month. Trump says "substantial chance" summit with North Korea will not go ahead next month. 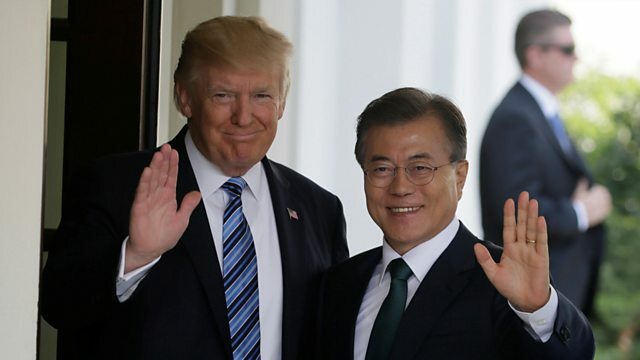 South Korean President Moon arrives in Washington for talks with Mr Trump. Proposed Italian Prime Minister facing scrutiny over his CV. The challenge for India of trying to bring electricity to every home by the end of the year. And why is Sweden preparing for war ? Yulia Skripal says she and her father were victims of assassination attempt.